The poll body’s order comes following a complaint by the Congress regarding the channel. New Delhi: The Election Commission on Thursday directed NaMo TV to not air any political content that has not been certified by the panel. 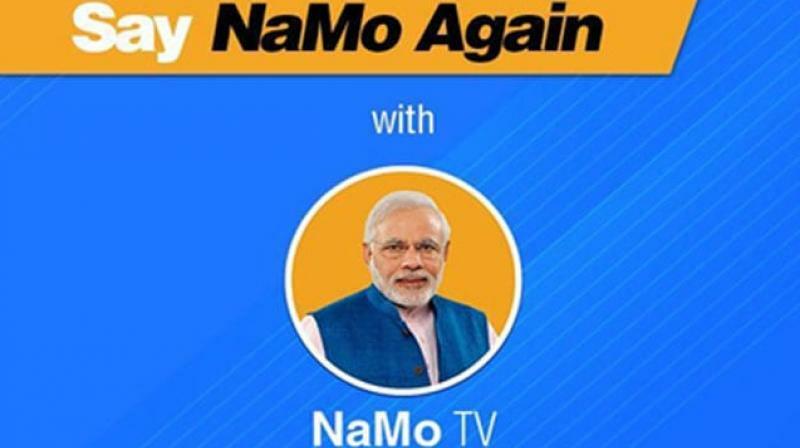 NaMo TV, the 24-hour channel exclusively features Prime Minister Narendra Modi’s speeches and pro-BJP content. It has been on air since March 31 across multiple private DTH (direct-to-home) networks. 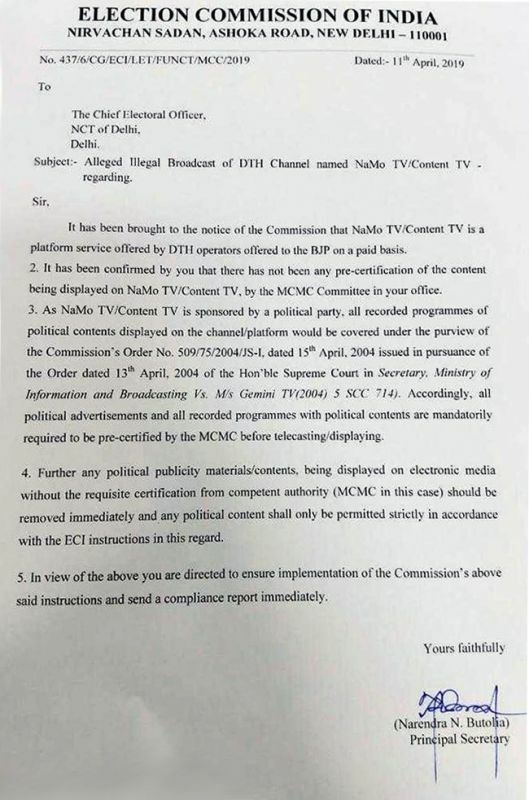 “Any political publicity materials/content, being displayed on electronic media without the requisite certification from competent authority (MCMC in this case) should be removed immediately and any political content shall only be permitted strictly in accordance with the ECI instructions in this regard,” the order states. The channel has been promoted across social media by both the BJP as well as the Prime Minister. Opposition parties have alleged that broadcast rules were bent and overlooked to launch the channel, just few days ahead of the first phase of voting in 2019 Lok Sabha elections.